We’ve seen the way you look at them. Perhaps you’ve even asked us, “What are those? !” Yep, they are a little gross BUT these Bravo! brand dry-roasted beef trachea are 100% digestible and an ideal source of natural chondroitan and glucosamine. 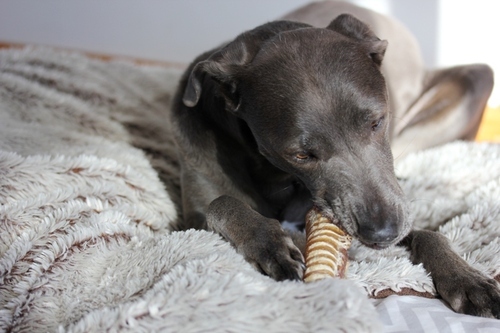 Beth loves giving her dogs (pictured here) a treat that helps build and support cartilage and lubricate their joints. These chews are perfect for dogs with occasional joint stress due to exercise or physical activity. 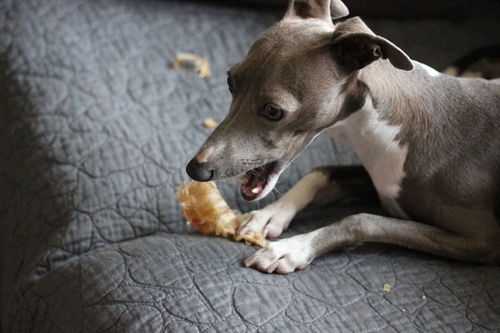 As the dog chews the trachea, it also helps to naturally clean their teeth. Oh and dogs LOVE them! We individually wrap our Bravo! trachea to make them more customer-friendly and a little less scary. 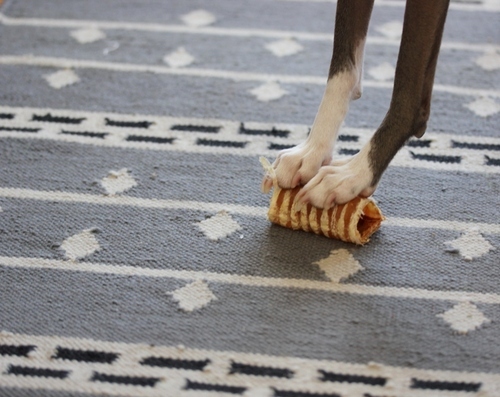 We don’t want any dogs to miss out on these sturdy all-natural chews! Bravo! chews are sourced in the USA and New Zealand and are made from human grade meat sources. We only sell the best for your pets!